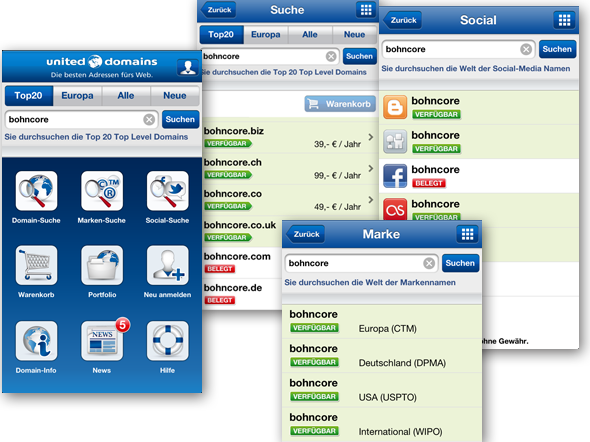 Ihr habt viele Domains oder habt immer neue Projektideen für die Ihr Domains braucht? Ihr macht das über United-Domains? Dann gibt es jetzt für die iPhone User unter euch eine App dafür, die ich euch kurz vorstellen möchte. Ich persönlich habe 2/3 meiner Domains bei United-Domains liegen. jop, das ist ein Hauptgrund für die App. Thanks , I have recently been looking for information approximately this subject for a long time and yours is the greatest I’ve came upon so far. But, what concerning the bottom line? Are you sure concerning the supply?|What i do not understood is in truth how you’re no longer actually a lot more smartly-liked than you may be now. You are so intelligent.